Booze alone cannot maintain life. Accordingly, the Ngeringa name no longer just appears on wine lists, but also increasingly alongside produce on menus in SA’s best eateries. The land that sustains the Ngeringa winery and farm has been in the Klein family since the mid-90s. 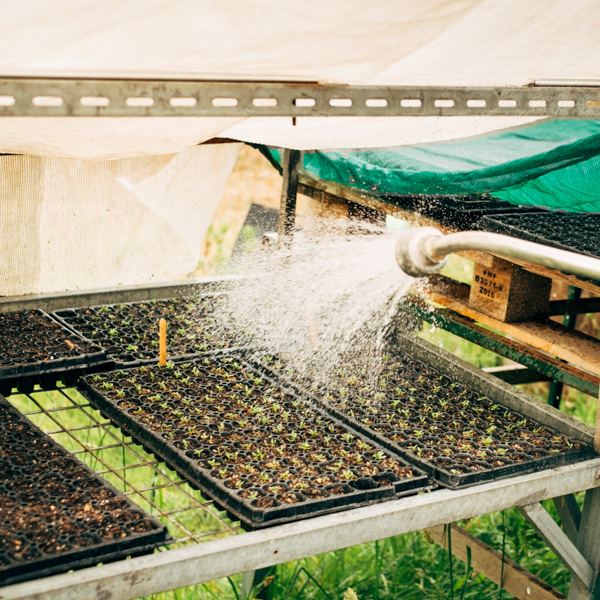 Initially, Ulrike and Juergen Klein worked to turn it into an organic, biodynamic herb farm – the produce from which was harvested for their skincare label Jurlique. Now – two decades later – Jurlique has been sold, and the next generation is drawing from the land for a different purpose. Ulrike and Juergen’s son, Erinn, and his wife Janet prefer wine to face creams. They planted the property with vines in 2001, picked the virgin batch of grapes in 2005, and released their first bottle under the Ngeringa label in 2007. In the more than eleven years since, Ngeringa has become a stalwart in restaurants like Adelaide’s Etica and Sydney’s Aria. But now, the name is beginning to appear on menus as well as wine lists, as a relatively new concentration on nurturing produce begins to mature. 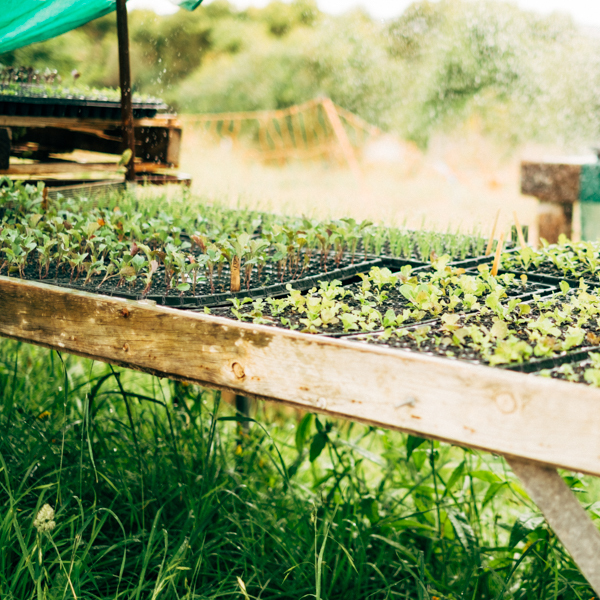 For Erinn and Janet, growing food as well as wine grapes is in keeping with the holistic nature of biodynamic practice, which calls for an avoidance of monoculture and a concentration on thoughtful use of land. “Wine doesn’t sustain and nourish us,” says Erinn. The struggle, however, has been to find someone to farm the produce in keeping with Ngeringa’s already established philosophies. As part of biodynamic and organic norms, Ngeringa’s grapes are grown using no chemical sprays, minimal irrigation, and sheep are run between the vines to regulate weeds and grasses and provide natural fertilizer. Early experiments bringing people on to the property to share farm produce sometimes resulted in these ideals being ignored – but then Erinn and Janet met the perfect collaborator in Andy Taylor. 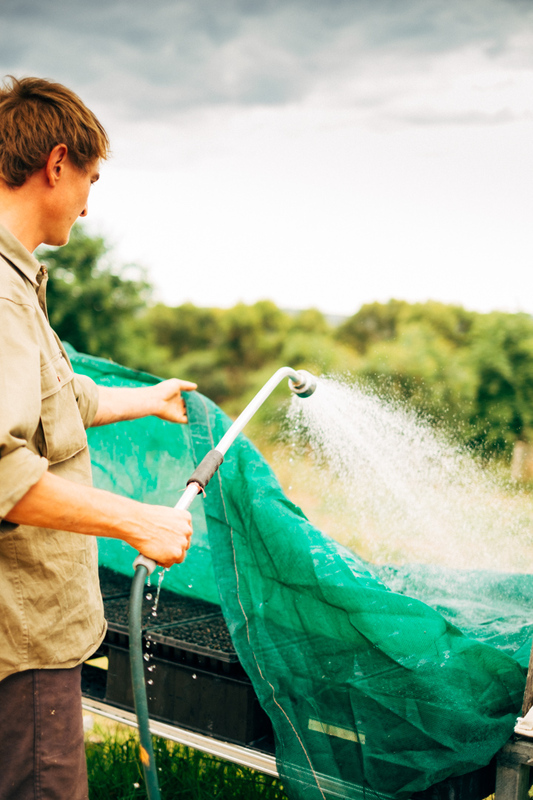 Andy’s approach, work ethic, and ambitions aligned perfectly with those existing at Ngeringa, and in the years since he started working there he has expanded the produce farm from two garden beds to more than 15. “We share the idea that while it needs to be produced right, it’s also very important that it’s still got to taste good,” says Erinn. The fruit and vegetables Andy grows, like the wines Erinn and Janet make, can now be found on high-end menus throughout the state. But in keeping with the philosophical purpose of the farm, Ngeringa also aims to make it available more broadly. “Having it in some of the fancy restaurants doesn’t make it accessible to the masses,” says Erinn. the wine as well – sustained through each day of work by the land on which they stand. 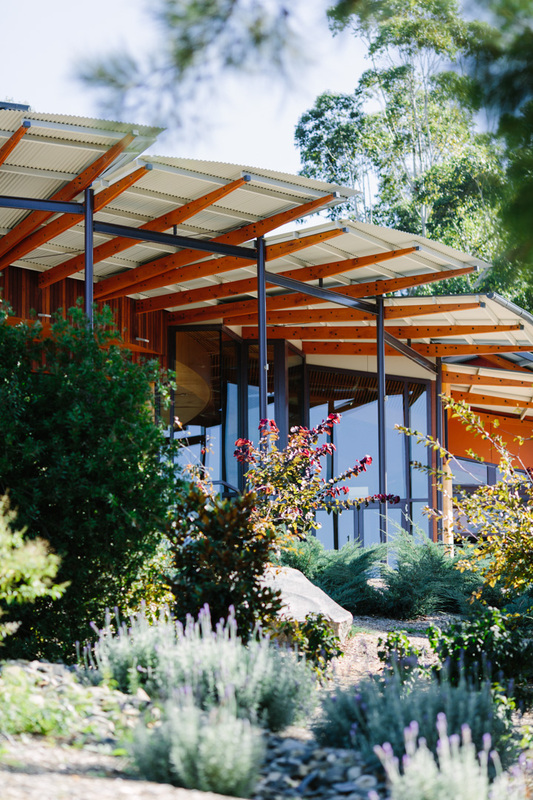 The wine and food produced by Ngeringa nourishes the body, and the music that fills Ukaria – the concert hall located alongside the farm – does the same for the mind. The Australian String Quartet (ASQ) might often play timeless pieces written by European masters, but their true purpose is rooted in the soil on which they live. “We’re very much for and about Australia,” says the Quartet’s second violin Francesca Hiew. 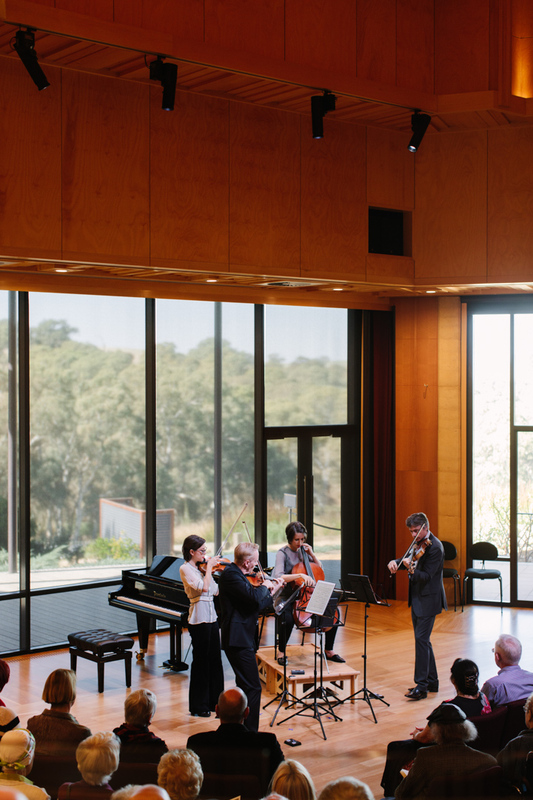 One of the key places Francesca and the quartet can nurture this direct connection is at Ukaria – the concert hall neighbouring the Ngeringa farm. In Ukaria, as the audience looks toward the stage, they also – via the floor-to-ceiling glass windows behind the performers – take in the rolling landscape that stretches out around the venue. “It’s a more sensory experience for the audience to be very close to us and also close to this landscape which is natural and uniquely Australian,” says Francesca of the space, which seats 220 people. The hall was renovated in 2014 into its current, beautiful state. But even before that – when it was just a seminar hall – it was host to performances. Sitting on the property when Ulrike and Juergen Klein bought it, the venue was run down. But that didn’t stop Ulrike programming musicians to play there as they ran the Jurlique farm around it, because she believes culture to be part of any holistic endeavour. Now Ulrike has passed responsibility for the farm to the next generation in Erinn and Janet, she has been concentrating more exclusively on developing this cultural side of her endeavours. Part of the Ukaria Foundation, which operates the venue, Ulrike has a hand in developing the year-round program that includes musicians like Archie Roach and Paul Kelly, and has spear-headed a special relationship with the ASQ. For Francesca, it may seem unusual. But for Ulrike, sharing the beauty of the Australian landscape and music is a given.